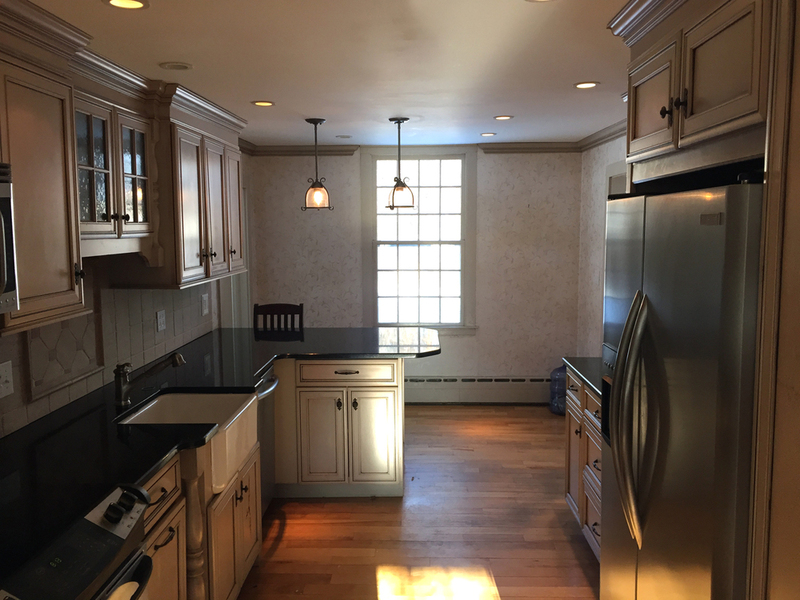 Built in the late 1700's this great antique house in Haddam was missing a central meeting place. 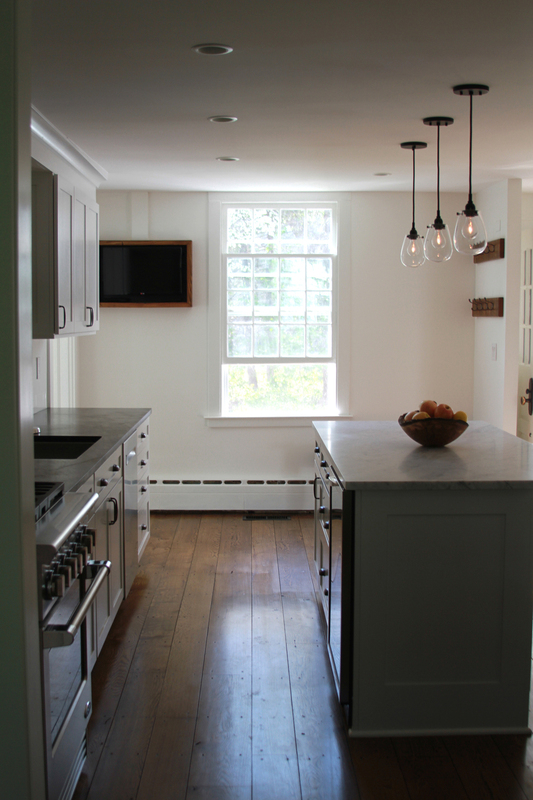 The kitchen was a galley setup with just enough room for one or two people to work and no room for anyone to gather. The secondary staircase was dangerous and awkward and was the first thing to greet guests as they came through the door. 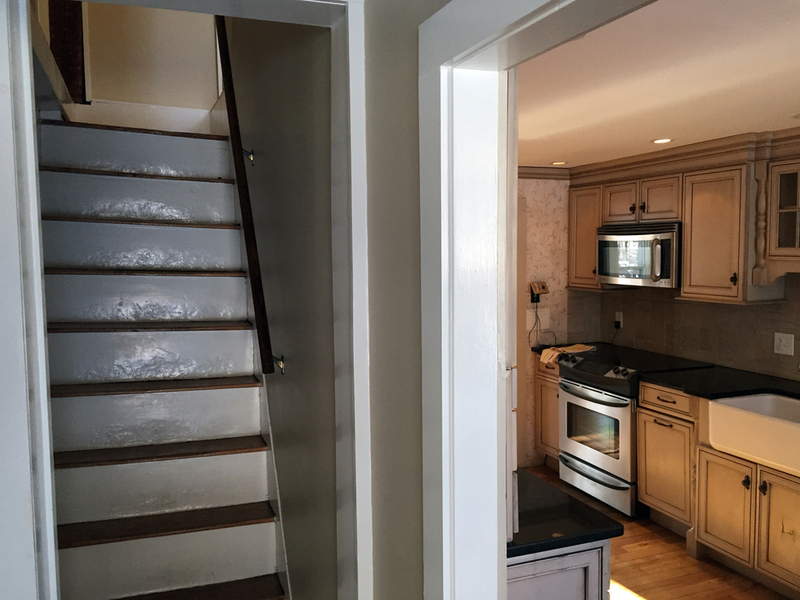 Working with the homeowner we decided to remove this secondary staircase to allow more room for the kitchen. 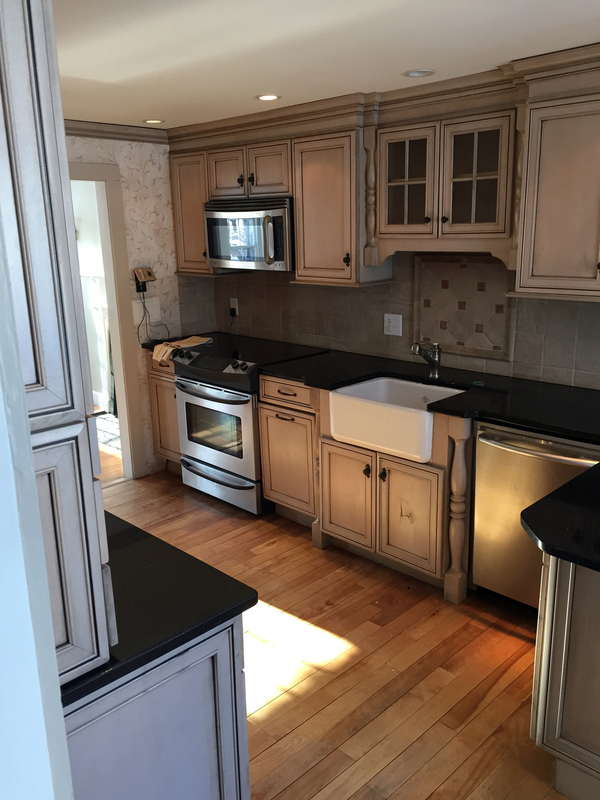 This allowed for a great center island that could accommodate four guests without impacting the functionality of the kitchen. A television was added in the corner that can be viewed by both guests and cook and was stylishly obscured with a wood frame. This frame and the material for the bench as well as the coat hooks was made with the chestnut parting boards that were removed when the stairway was removed. The new kitchen has completely changed the feeling of the entire house and now allows for a place for everyone to comfortably gather. Before pictures are at the end of the slideshow to show the extent of the transformation.